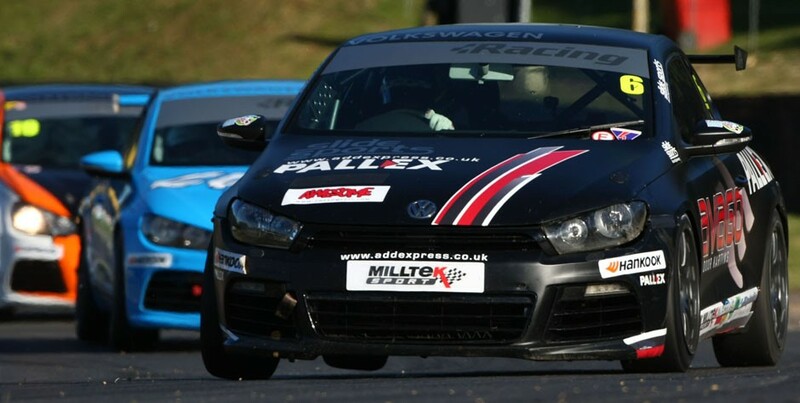 An endurance test lies ahead of the Milltek Sport Volkswagen Racing Cup competitors and their cars next weekend (22/23 August) at Snetterton, with two extended races to enliven the already heated action as the championship nears its conclusion. Both Snetterton races will be of 30-minute duration, 50 per cent longer than the norm, which could prove crucial for drivers who are kinder to their tyres and those running less success ballast. Four drivers will go into qualifying and the first race carrying the maximum success ballast of 60kg following recent good results – Lucas Orrock, Michael Epps, Phil House and Aaron Mason. The SlideSports Scirocco of championship leader David Sutton will be ballast-free going into the Snetterton meeting following a recent downtown in form. The Rotherham racer has led the championship all season, racking up four wins from the first eight races. His closest points rival, Doncaster driver Mason, regained his form last time out, at Brands Hatch, where he and his AWM Scirocco picked up their first win of 2015. Another gaining ground as the season approaches its climax is Cambridgeshire-based Orrock, whose Vindis-backed KPM Scirocco has finished on the podium at every meeting bar one this season. The Safe & Sound team technicians have been working overtime to ready Joe’s Golf GTI for a return at Snetterton, where he won in 2014. “The boys have been working monumentally hard on the car and it should be straight for Snetterton; hopefully we will be somewhere near the front. 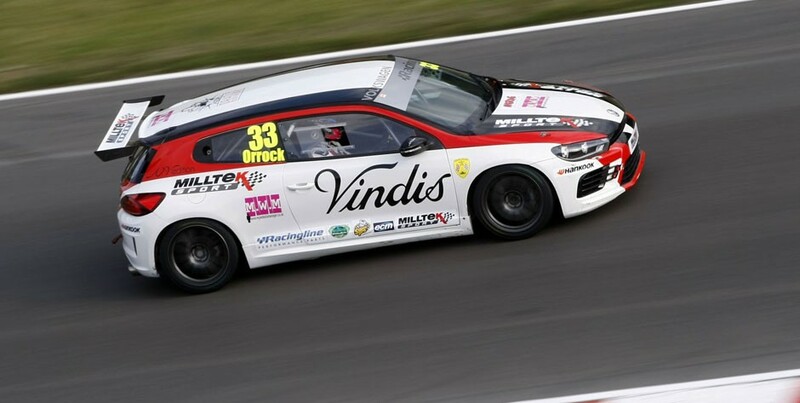 We had good pace at Brands and I want to get back out there because Snetterton has been a good circuit for me in the past.” Fulbrook does indeed have strong form at the Norfolk track, having won twice there in 2008, and twice since, including last year’s win. The other race winners so far in 2015 are Team HARD’s Epps, who added the crash-shortened Brands Hatch finale to his tally earlier this month, Cooke and Mason Scirocco pilot Jack Walker-Tully and Wisbech-based Joe McMillan in the Cobra Engineering Scirocco. There will be plenty of further contenders for victory on the grid in Norfolk, not least Team HARD’s podium finishers Howard Fuller and Bobby Thompson. It’s hoped that all the runners whose cars were damaged in the Round 12 startline shunt – including Laura Tillett (SlideSports), Damani Marcano (Team HARD) and Simon Tomlinson (AWM) will be back in action. In addition to rebuilding Fulbrook’s Golf, the Safe and Sound squad have been battling to restore Simon Andrews’ machine to full health after it was bashed at Brands. 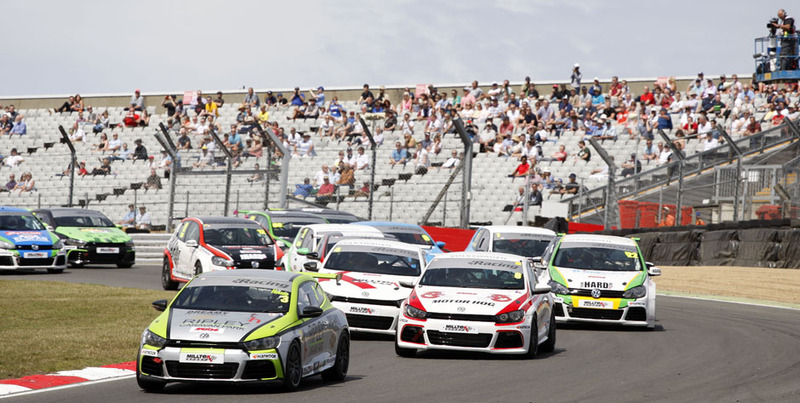 Following the Snetterton double-header just two races remain on the calendar to decide the outcome of the Milltek Sport Volkswagen Racing Cup championship title, at Donington Park in mid-September.